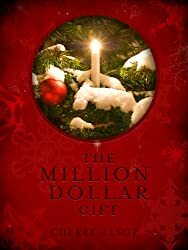 The Million Dollar Gift is a Christmas romance by Cheree Alsop about the true meaning of love and how important it is. Chase is homeless, broke, and nearly dead when he hears the distressed scream in the alley. Why he answered it is a little of a mystery, but he saved Clara and Matty’s life that night. Just like they saved his. Taking him back to the family to clean up and feed, Clara Clark finds out that Chase has a backstory to make even the coldest heart bleed. Of course, the Clark family isn’t without its own trials. Even as they celebrate Christmas with extend family, Chase gets a glimpse into the heart of what it means to love unconditionally, even when that seems hard. I recommend The Million Dollar Gift as a way to remember what Christmas is about: Love. Family. Friendship. Because a life without love isn’t really worth living anyway. If you like the sound of this one, you can find The Million Dollar Gift on Amazon or check out author Cheree Alsop’s website. Or, you can look into some of Cheree’s other works like the Silver series, the Galdoni series, or the Werewolf Academy series.